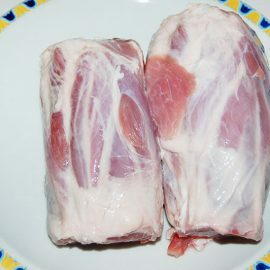 Clean a pork knuckle, one for each commensal. 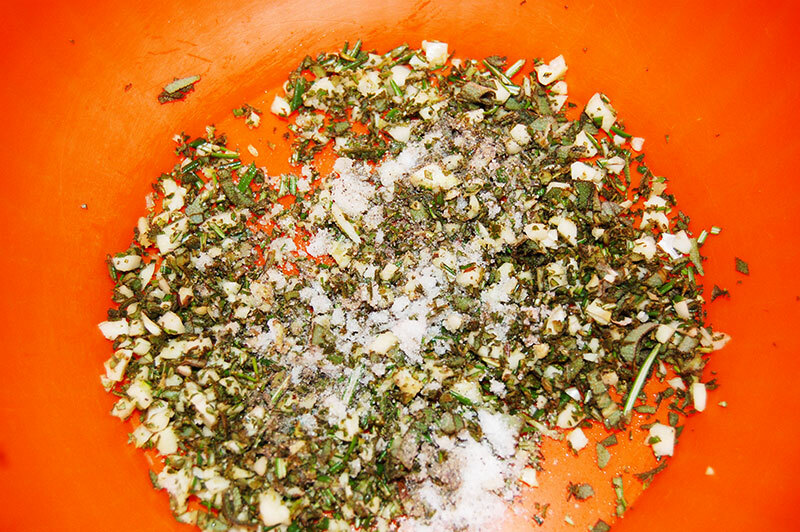 Mince rosemary, garlic and sage and mix all with salt and pepper. 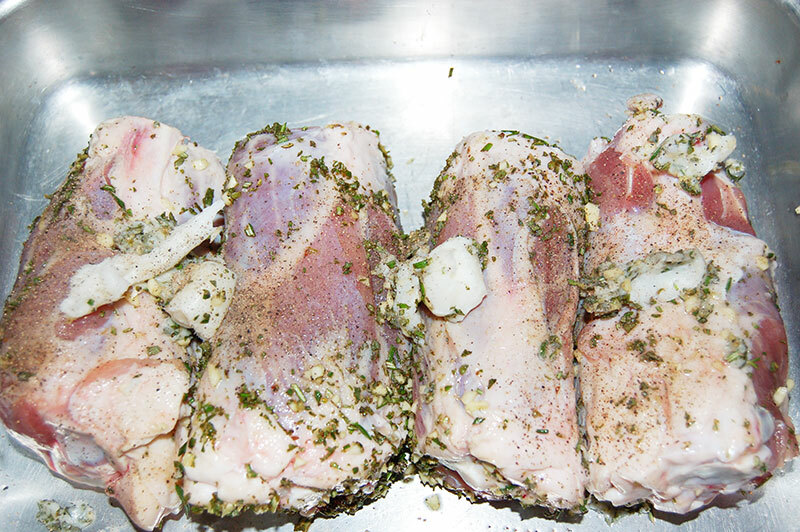 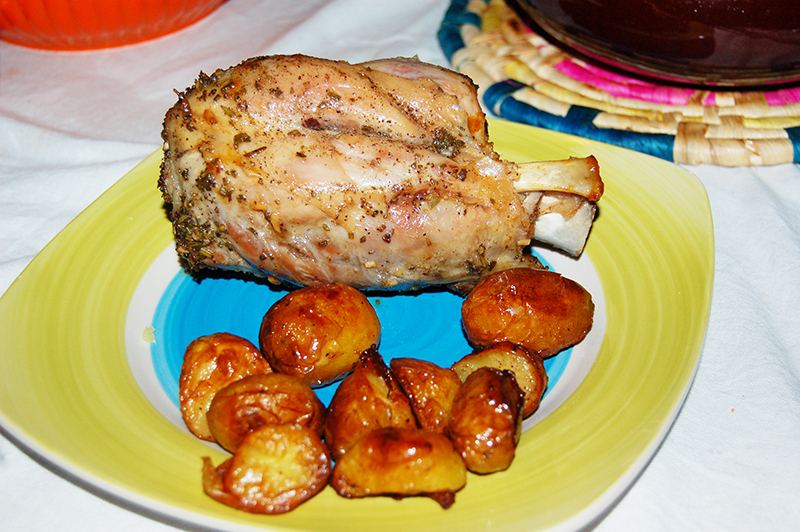 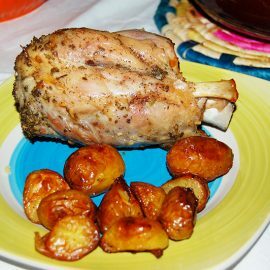 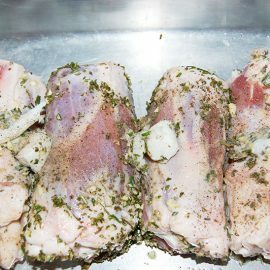 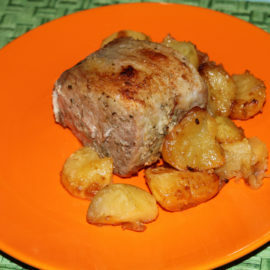 Grease the pork knuckle with oil or lard and sprinkle with the minced aromatic. 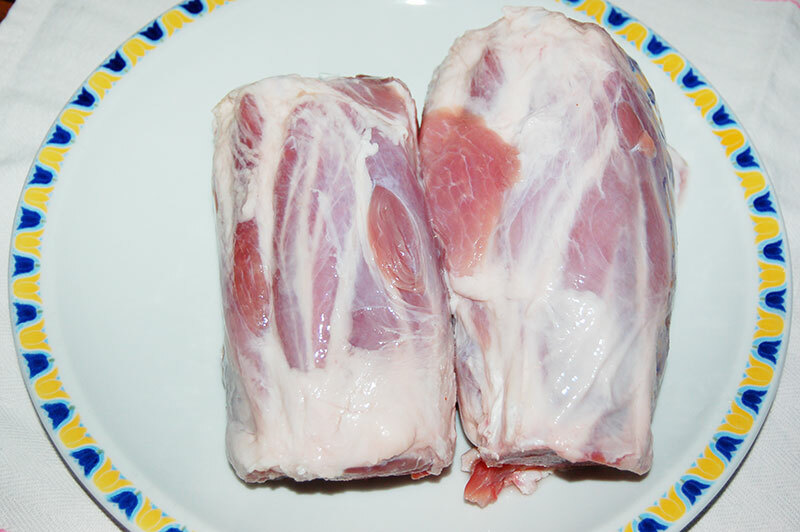 Arrange the shanks in a baking pan. 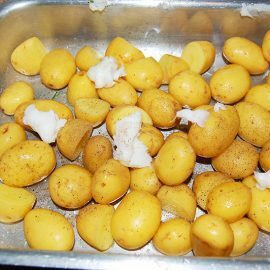 If the baking pan is large, add well-washed new potatoes in their skins, cut in two pieces, only bigger ones, I had to use a second baking pan. 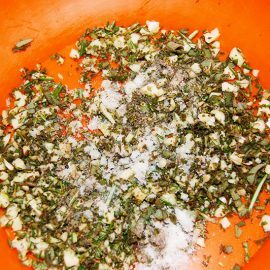 Grease the potatoes with a little oil or lard together the minced aromatic, not too much or else the potatoes will be too salty. 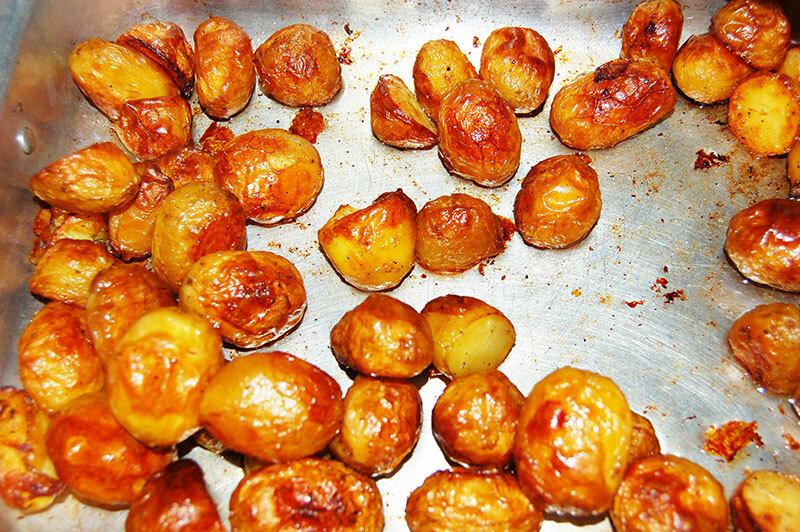 Bake all for 40 min at about 220 °. 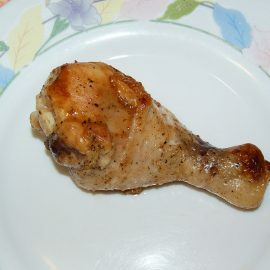 Occasionally wet with oil or white wine to keep soft shin. 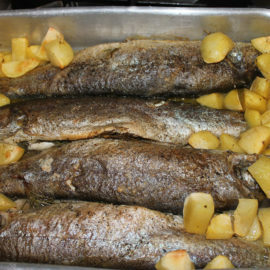 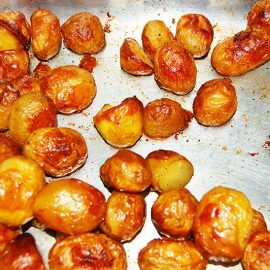 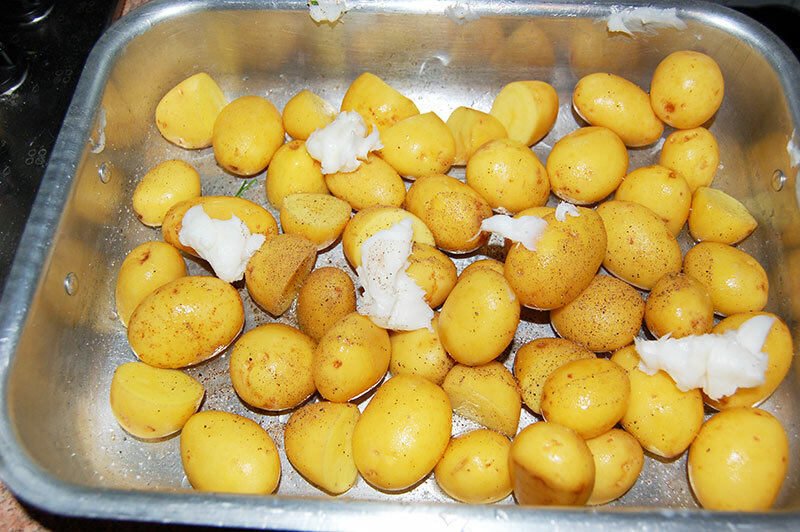 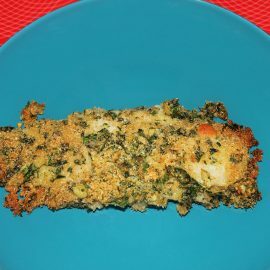 Serve with baked potatoes as side dish.